Tomorrow is the first day of February…which for all of you hiker lovers means that tomorrow is the first day when you can sign up (online now!) 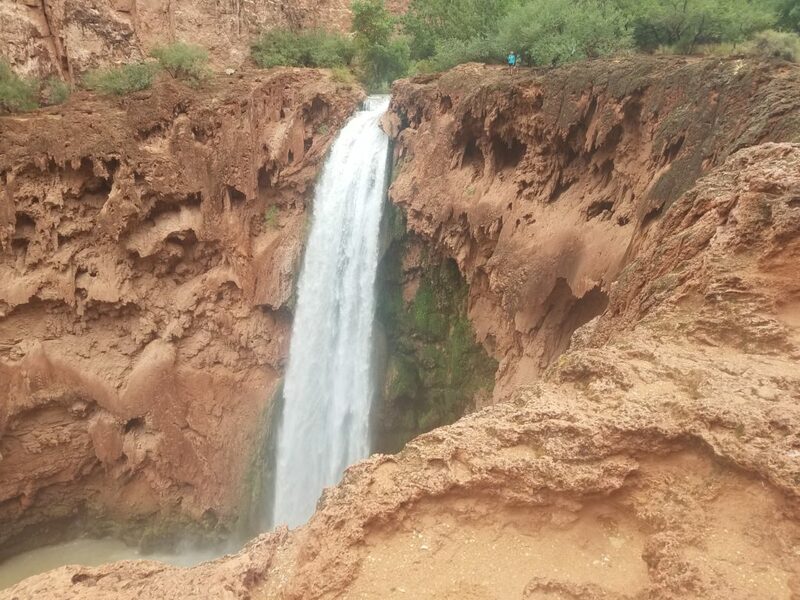 to get a reservation to hike beautiful Havasupai Falls! 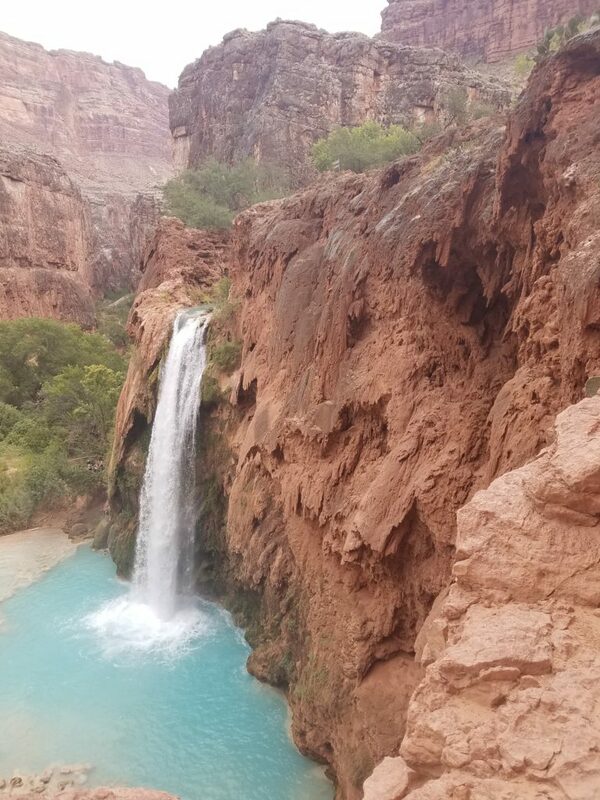 I hiked Havasupai Falls in September of 2017 (and I still need to post my lessons learned, stay tuned!) but I want you all to know that this place is Bucket List worthy! Havasupai Falls can be found below the rim of the Grand Canyon and to get here you need to hike about 8 miles. You can hike back out or take a helicopter and see incredible views. 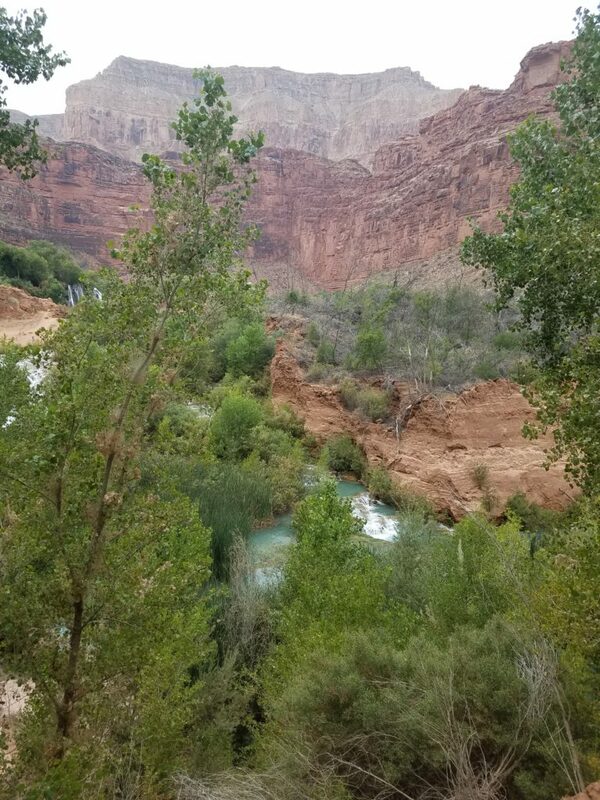 An 8 mile hike may sound a bit intense, but with the right training (*cough* like my Couch to Havasupai Falls Phoenix training plan 😉 *cough*) it’s a breeze! 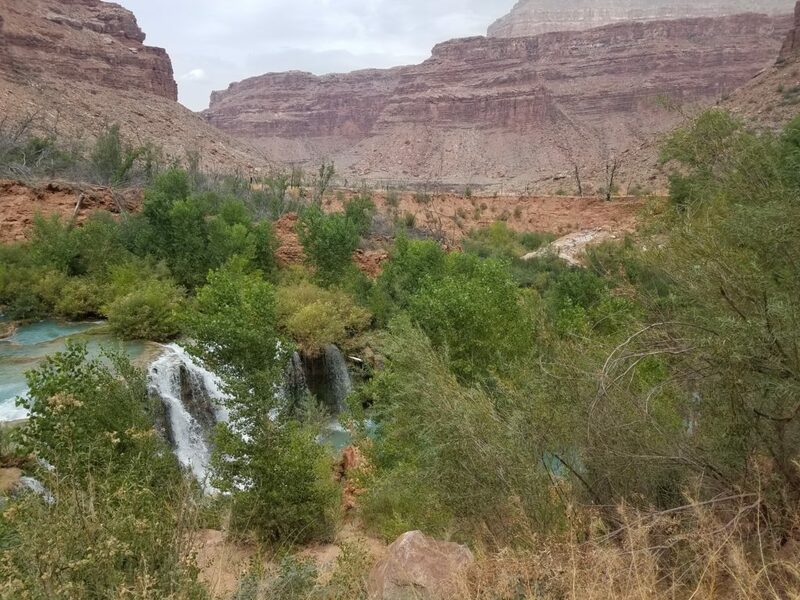 Back in the day, it was so difficult to make it to Havasupai Falls because you had to call by telephone to make a reservation and it was rare to actually get through because there are so many people wanting to visit. Lucky for you, they now accept reservations online HERE. The reservations open tomorrow at 8AM so set your alarms! Check out 7 of my favorite photos to inspire you to hike Havasupai Falls! 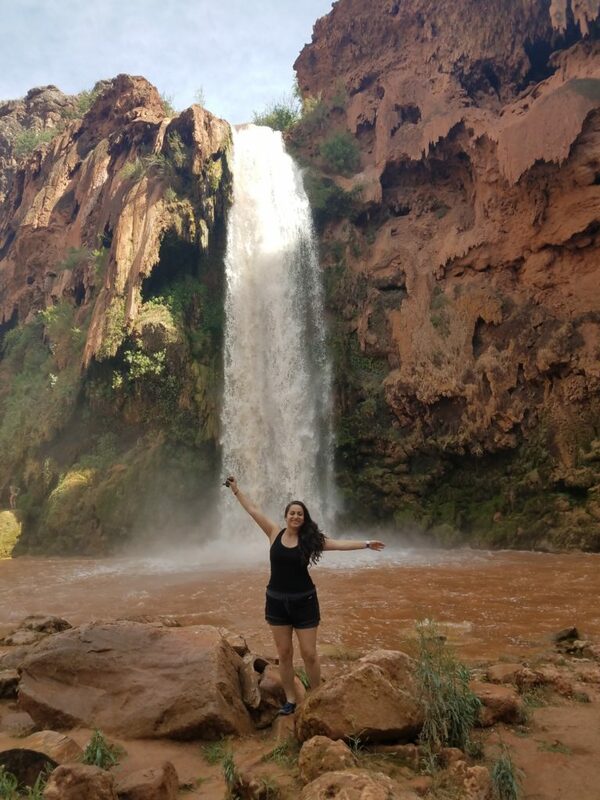 The water is such a beautiful blue/green but when it rains, Havasupai Falls looks a lot like a chocolate fall! But do not worry, it takes about 24 hours for the water to go back to its beautiful blue/green color. 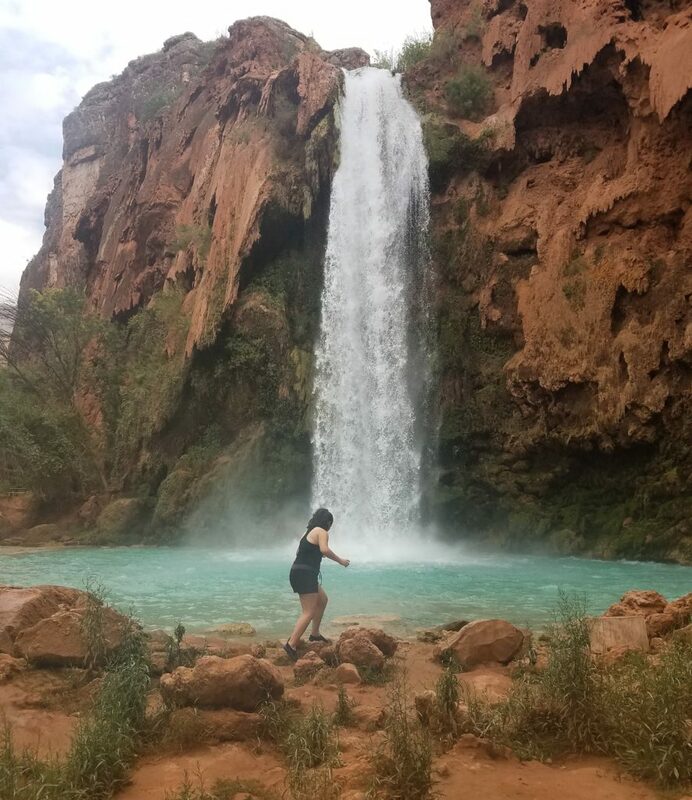 I hope this list inspires you to check Havasupai Falls off of your Hiking Bucket List! 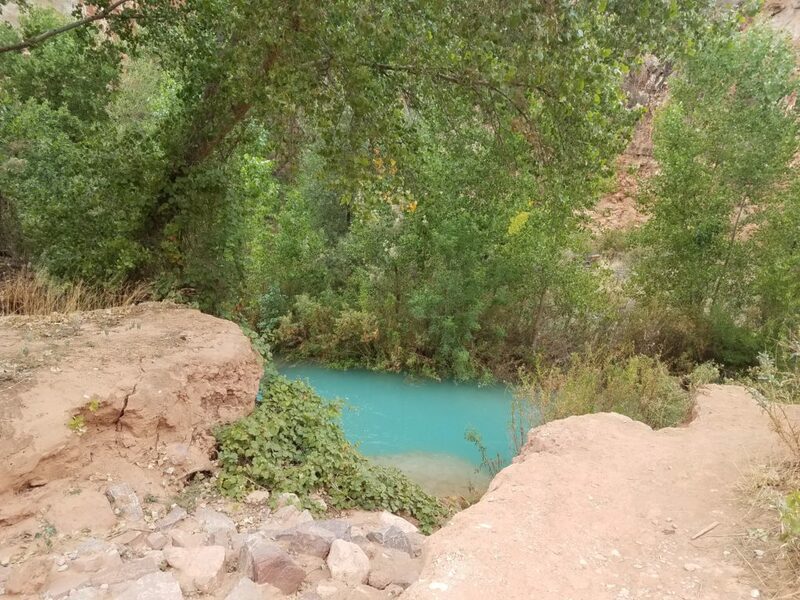 To see more Havasupai photos, check out #MairaInSupai on Instagram! < Previous 5 Arizona Restaurants For The Wine Lover In Your Life! Next > 4 More Phoenix Restaurants To Try This Valentine’s Day!